I‌n recent years, many renowned fertilizer manufacturers have opted for EIRICH processing technology. The requirements being placed on products today are increasingly complex. In many cases functional coatings are applied to granulates, for example in order to control the nutrient release. Once again, this is an area where EIRICH technology really shines. 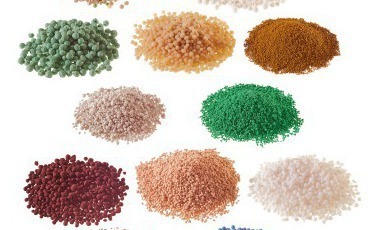 There are several methods for producing coated granulates. 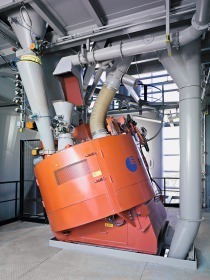 When it comes to more challenging and more demanding applications, mixing and granulating technology from EIRICH is particularly cost effective. The mixer is equipped with a rotating mixing pan and a mixing tool that can provide anything from low to extremely high mixing energy input depending on the requirements. 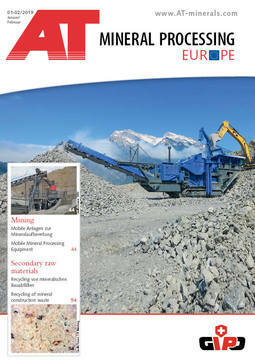 As a result, this mixer is just as adept at mixing or granulating or coating – and all this in one and the same unit. The system-related advantages make it possible to process completely different formulas in the same plant. 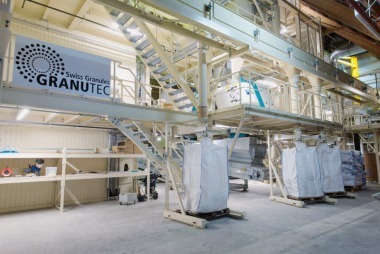 In addition, simple changes to machine parameters in the granulating process also make it possible to manufacture granulates with diameters from 100 µm to several millimeters. These can then be coated in the mixing granulator without transferring them to a different machine first. For the customer, not only can this system be used to manufacture a broad range of different products at consistently high quality, but it also offers reliability for the future. Another advantage for coating is the fact that the movement of the material in the mixing pan largely prevents the formation of coarser agglomerates. 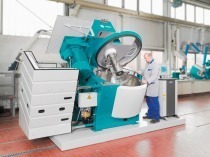 Thanks to the design of the system, the EIRICH technology does not require any fast-running choppers that break down coarser agglomerates and create unwanted fine components in the process. 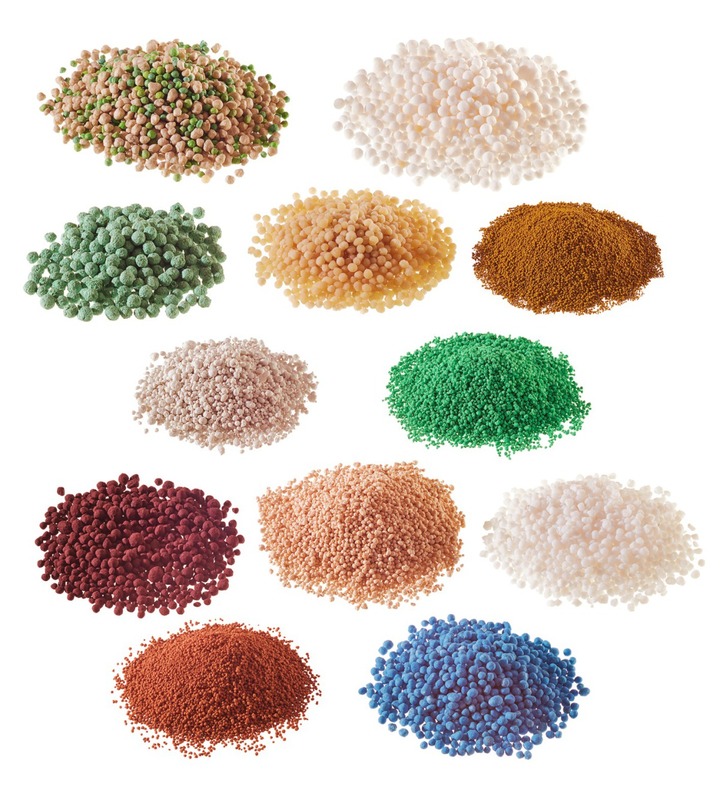 Today, several coating processes in sequence often need to be carried out on fertilizers. For example, a liquid is applied to the finished granulate, which is very quickly distributed over all surfaces. This is then hardened by adding a hardener. If multiple coatings are required, the liquid is applied again, followed by another round of hardener. As many layers can be applied in this way as required – up to more than ten if necessary. This allows the nutrient release from the fertilizer to be carefully adjusted. The organic polymer coating is biodegradable. A similar process is followed today for coating grass seed with nutrients, but also to increase the weight of the seeds and prevent losses due to wind and rain. In the first step here, it is absolutely vital to ensure the best possible coating of the narrow, oblong seed with a suitable binding agent – and thanks to the special design of the EIRICH system, this can be done quickly and completely, reliably preventing the localized overmoistening that occurs e.g. when using single-shaft axial mixers, which otherwise causes lumps to form. 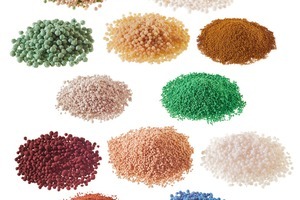 Coating of granulates is also used successfully in many other industries if it is necessary to selectively modify surface properties in order to improve the application characteristics of a product. Here, customers really appreciate using the EIRICH mixer as a multi-functional unit with integrated drying function. The granulates are coated in the mixer with the solution or suspension and then dried by passing over hot air. By adding multiple layers in this way, the desired additives can be concentrated on the surface of the granulates. A current example is catalysts. If necessary, it is also possible to cool the granulates in the mixer or to heat them to material temperatures of up to 250 °C.